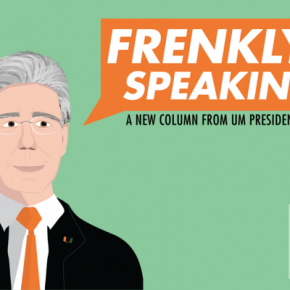 Fareed Zakaria, host of CNN Worldwide’s “Fareed Zakaria GPS,” spoke at the University of Miami’s Watsco Center Monday night, addressing students as part of the 2018 Student Convocation and the Northern Trust lecture series. In his speech, “Is the American Dream Out of Reach,” Zakaria challenged students to think critically about the problems affecting today’s society. He spoke about America’s role in the world and how the American dream has evolved over the past few decades as a result. Isaac Attuah, an international student from Ghana, said he listened to the speech in hopes of gaining a better understanding of his own American dream. 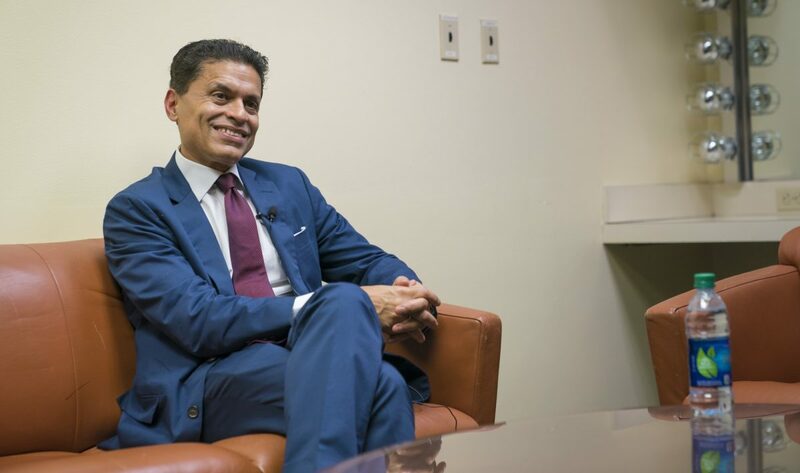 In an exclusive interview with student media, Zakaria explained the importance of getting out of the American bubble and learning from other nations. He said that although America is influential, it’s not the only world power that matters. Zakaria said Americans should strive to become multilingual global citizens, who learn from other nations instead of disregarding them. He said the great problem with America is not that its residents speak too many languages, but that they don’t speak enough. “We tend to think that the rest of the world could learn from us, but we can also learn from them,” Zakaria said. Rachel Daniel said she wanted to hear Zakaria speak because she wanted to understand how she could personally become more involved in the global community. Zakaria’s CNN show debuted in 2008, and has featured distinguished guests such as Barack Obama, Hillary Clinton and Vladimir Putin. The show earned the Peabody Award in 2011 and an Emmy Award nomination in 2013. Zakaria received an honorary doctorate of humane letters from UM in 2007, and previously addressed the UM community at the 2010 New Student Convocation. 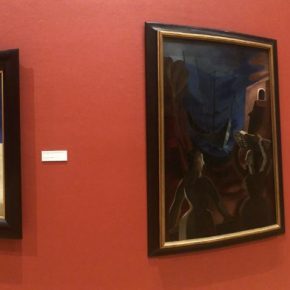 Natalia Rovira and Benjamin Estrada contributed to this reporting.